Cleveland Browns offensive coordinator Freddie Kitchens, left, talks with quarterback Baker Mayfield (6) in the fourth quarter of an AFC North Division game against the Cincinnati Bengals at FirstEnergy Stadium in Cleveland on Sunday, December 23, 2018. Quarterback Baker Mayfield believes Freddie Kitchens needs to remain true to himself as Cleveland Browns coach. 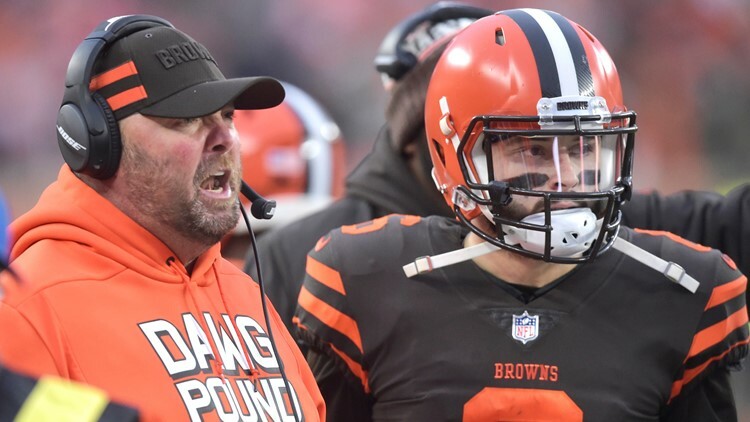 CLEVELAND — Cleveland Browns coach Freddie Kitchens was honest and straightforward in how he dealt with players as an interim offensive coordinator during the second half of the 2018 regular season, and that approach caught the attention of players and decision-makers alike. Browns general manager John Dorsey was impressed by how Kitchens handled the midseason transition, that he was the choice to be the 17th full-time head coach in franchise history, and in order have success, quarterback Baker Mayfield believes it will come by remaining true to those principles. “I think Freddie needs to continue to be himself,” Mayfield said during Odell Beckham Jr.’s introductory press conference Monday. “Everything he stood for last year, when he was our interim offensive coordinator, was about being upfront, holding each other accountable, working hard, working for us and being just upfront about everything. 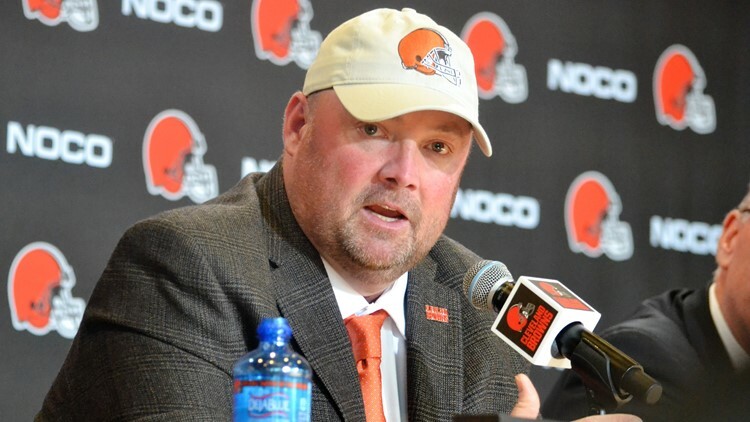 Cleveland Browns coach Freddie Kitchens had some memorable quotes during the team's offseason kickoff press conferences. Kitchens’ elevation to head coach in early January capped an unusual 12 months for the well-traveled NFL assistant. Kitchens, who was a popular interview request from other NFL teams, helped the Browns increase their points per game and got solid play out of Mayfield. 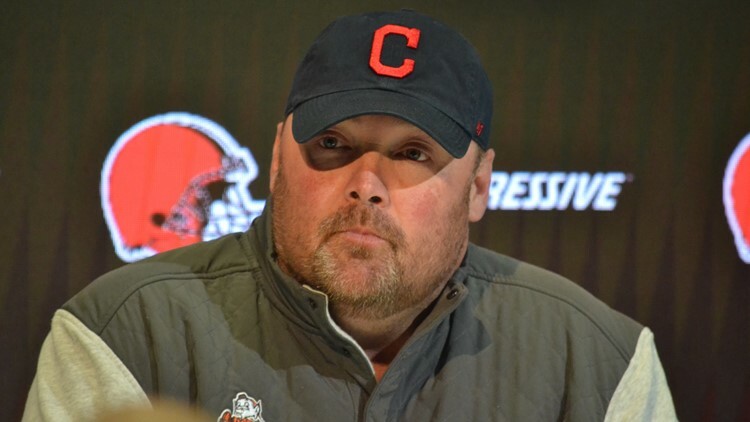 New Cleveland Browns coach Freddie Kitchens says if you are not all in on brown and orange, you do not matter. While the first impression was a positive one, Kitchens knows much has to be done to build trust between the coaching staff and players in the locker room. “It is not about the end result, it truly is not,” Kitchens said. “It is about doing the best we can every day and for them to know that I gave them the best that I could give them today, tomorrow, the next day, and the same thing for our staff, that they have given them the best that they could every day.